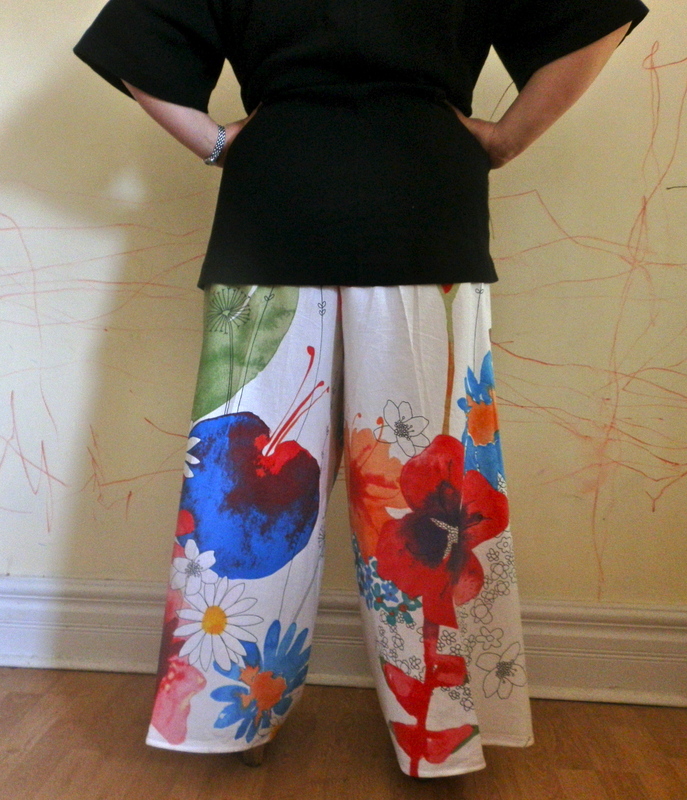 HomeIkea Fabric Dare Pants – aka spring is here! 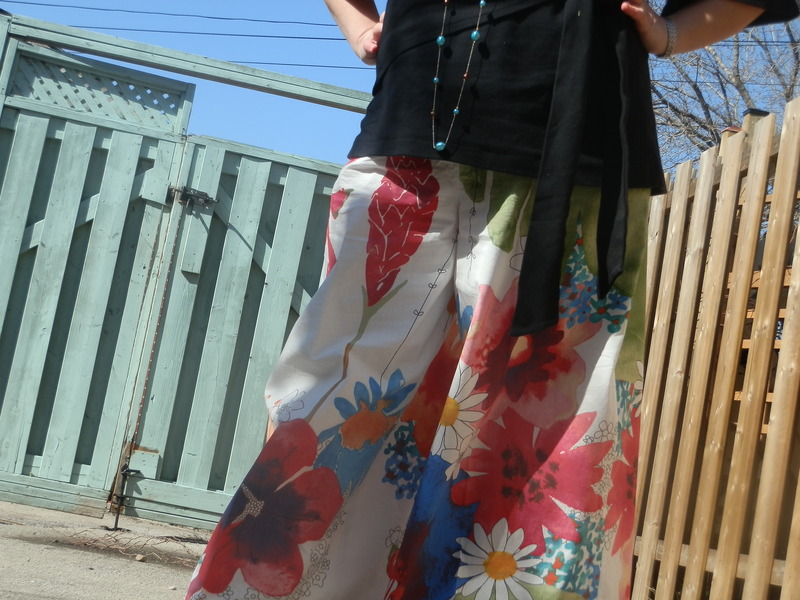 Ikea Fabric Dare Pants – aka spring is here! See how wide they are? I would never buy pants like that, and here I am! Back. Now that I see these pics I’m realizing that it looks like one leg is shorter than the other. Could it be? I had only 2 meters of this fabric (that’s what the pattern called for), left from my previous sewing adventures so matching the print pattern was not an option. The print is very large, as you can see, and there would be an enormous amount of waste in any case. So I tried to concentrate the most flower action on the bottom of the pant legs and include the vertical elements to facilitate the up-down eye movement, rather than having it linger in some ehem, less attention worthy area of my bod, you know what I mean. Side seams. Even though there’s no pattern matching, I think I tackled the issue well-ish. Just a warning though, what follows is a lot of crotch shots, many of them unappetizing… All in the name of education. 1. Completely unaltered pattern, doom and gloom, waist predictably too tight, yucky folds running diagonally from the crotch towards the hip. Fitting For Every Figure diagnosis: High Hip Adjustment needed. A-ha! 90% of pants on the market represent this problem for me, and 100% of me-mades (at least the non-athletic ones). 2. I let out all the 4 seams to add more room in the high hip and waist, but then the waist was way too big, making them drop lower, re-creating the diagonal folds. 3. Took only the side seams in at the waist, and narrowed the hip. Later, I shortened the front crotch by a tiny amount, to get rid of those horizontal wrinkles (picture #3). 4. What folds? What wrinkles? These pictures represent more or less same points in the construction. After adding to the waist, the pants were sitting too low, so I ended up with too much bulk in the back centre seam (pic #2, ugh!). 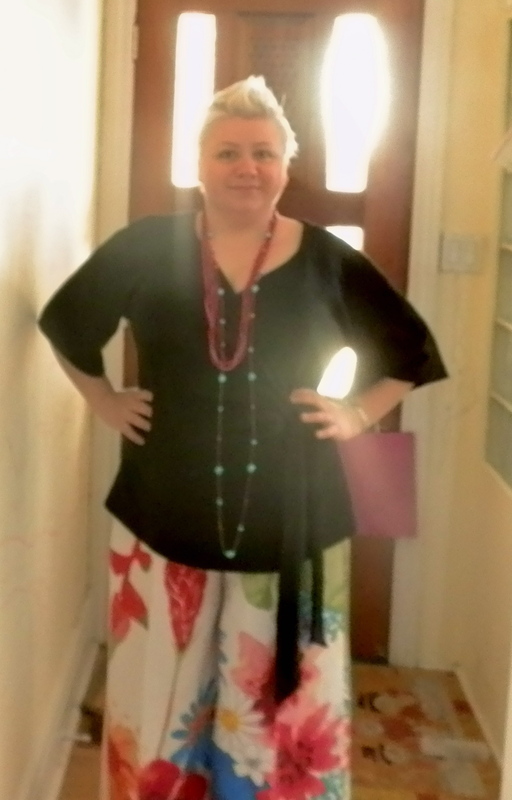 Took that in, resulting in situation pictured with the grey pants (that was my muslin #2). The main difference between that and the finished project was that I narrowed the whole leg from the inside only, so I ended up with less bunching between the thighs. And just so you can see that it’s me wearing my pants, here is one of me. Wearing the pants. The most flattering picture of about 50 that I took. None of them flattering, since my hairdresser gave me a haircut that was waaaaaaaaaaaaaaaaaaaaaaaaaaaaaaaaaaaaaaaaaaay too short. In general, not flattering at all. Crossing my fingers and toes that it grows out fast. So how about you, dear reader, do you make muslins? How many per garment, if at all? 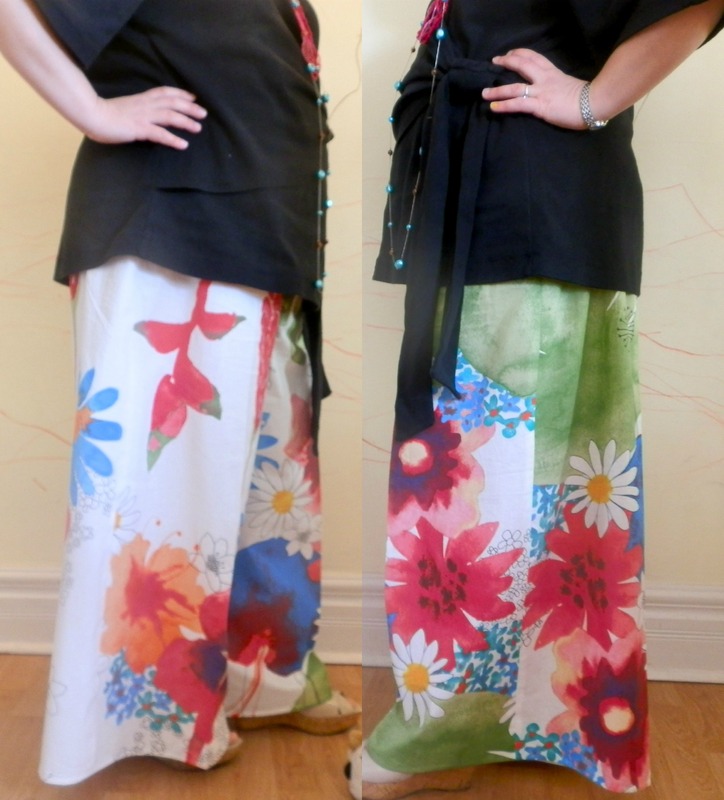 I am typically a fan of wearable muslins, but it really depends on the clothing. 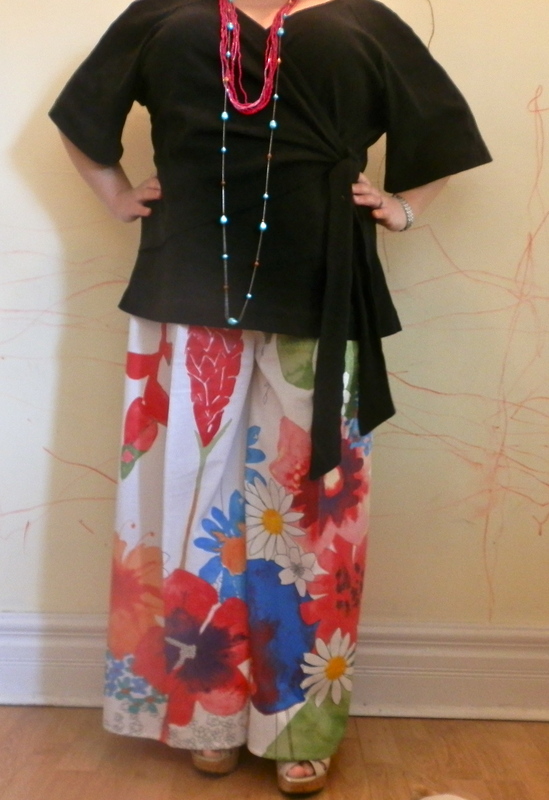 I’m not sure the first stab at pants is going to be worthy of even wearable muslin fabrics. It’s just too hard to get that part of the body to fit properly in the first go. You do look like you are wearing spring, it’s delightful. OOOOOOh, how exciting! Bring it on baby! Oh, Jagoda, they turned out so lovely! So swishy and springy, they look great! And, wow, so many muslins, the final product definitely looks the best out of all of them. They look very comfy as well. I found that matching the side seams of this fabric was actually impossible since there was no cross-grain repeat. When you flipped over the fabric to join right sides together, you will get the opposite side of the print lined up on the right or left side of the other piece of fabric. So, even if you had 10 m, I still don’t see a way of lining up the side seams. Unless, of course, you cut it on the cross-grain, since it repeats down the selvage / lengthwise grain, you could have matched that up. 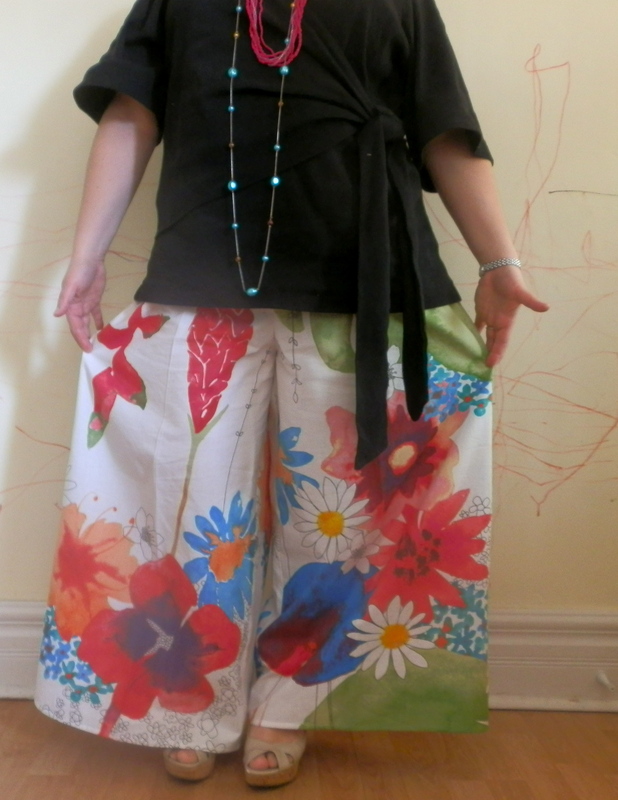 But, I cut my skirt on the lengthwise grain, so no way to match up the side seams. I did find the fabric difficult to work with because of this. Yey, can’t wait to see your skirt!!! You made my brain hurt with your matching description… I decided early on in the process that I would “artfully not match on purpose”, still it took me 1.5 hrs to figure out how to do it… But I would sew from this fabric in a heartbeat again, it challenged me and pushed me beyond my comfort zone in every possible way! Thank you for challenging me back!!! Lol, I know. It would be easier to describe visually, when we meet up again, I’ll show you what I mean. I love them 🙂 So fab! Hello Helen, and welcome! I hear you, it is not easy finding “right” clothes if you’re not a perfectly shaped individual… Making my own clothes has been often frustrating, but always so exciting and satisfying. It’s also done wonders for my self-acceptance and increased my self-esteem, not mentioning how many supportive friends I found by blogging. Get sewing Helen, you won’t regret it!!! And keep us posted on your progress! Oh Helen, I just checked out your blog, what a beautiful garden you have! I am now following you as well, since growing things is another thing that I like (though I’m nowhere near being as inspired a gardener as you are).